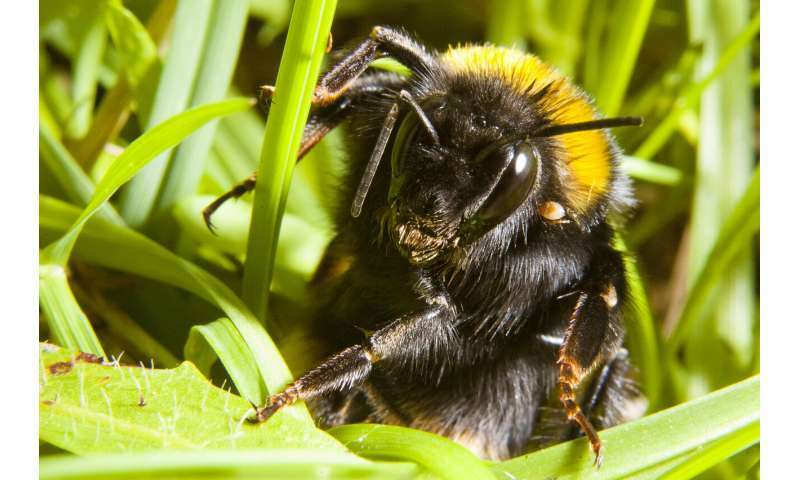 Dr. James Makinson, who co-led the study at Queen Mary University of London but is now based at Hawkesbury Institute for the Environment at Western Sydney University, said: "We wanted to see what queens actually do right after they emerge. 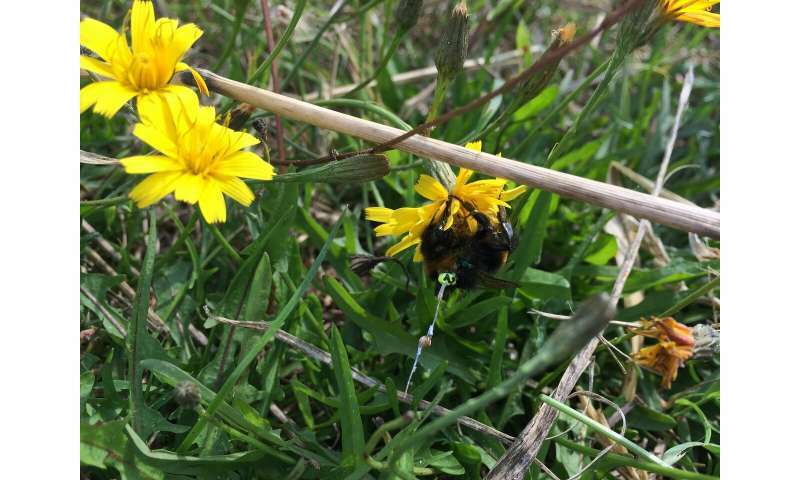 By combining state-of-the-art tracking technology with wild bee observations, we were able to uncover a never before seen behavior of queen bumblebees." Dr. Joe Woodgate, a co-lead author of the study from Queen Mary University of London, said: "Our study suggests that a few weeks of this type of behaviour would carry queen bees several kilometers away from their hibernation site and might explain how queens disperse from the nest in which they were born to the place they choose to found a new colony." Dr. Makinson added: "Better understanding the behavior of queens during this crucial period of their lives can suggest practices to improve their chances of successfully founding new colonies and help their survival. "Our findings suggest that creating pollinator friendly corridors between conserved landscape patches would be helpful. It would also be beneficial to plant pollinator friendly flowers and trees all year round, giving bumblebee queens ample access to food during their early spring emergence. 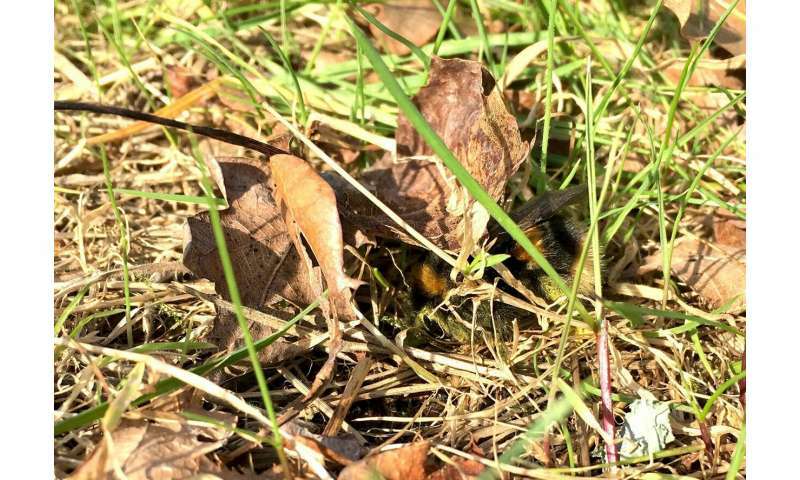 And leaving vegetation, such as leaf litter and long grass, undisturbed until late in the spring would give queen bumblebees safe places to rest." After artificially inducing hibernation with drugs and then strapping that giant antenna on her back, researchers were surprised(?) to find she often stopped to rest and hide in grass and leaf litter.